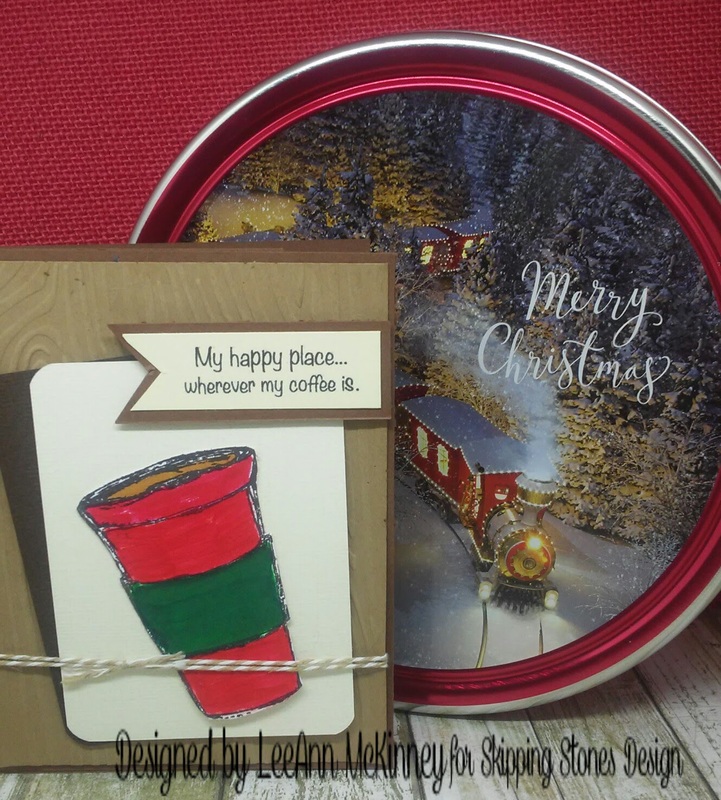 Greetings friends and fellow crafters, LeeAnn here today with my inspirational entry for the Winter Coffee Lovers Blog Hop 2017! Looking at the Coffee Volume #2 stamp set I decided to go with a fairly clean and simple design. I started with cutting an A2 background card with Brown cardstock, I then used kraft color cardstock and a woodgrain embossing folder to give texture. I used Project Life cards in Cocoa and Creme colors as my base, and then stamped/cut the Coffee Cup image from white, and colored with Red and Green Prismacolor markers. I used foam tape to add the coffee cup to the base, while the rest is added using double stick tape. A double wind of tan/white bakers twine tied in a knot finished this card off. The sentiment and cup were stamped using Memento Tuxedo Black ink, and all paper is Recollections 110 lb weight except the project life cards which were cut to size in a pack.